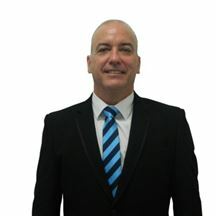 Harcourts Hervey Bay Business Partner, Greg Prange has a wealth of experience with 22 years in the Real Estate industry, the last 20 years as a fully Licensed real estate agent, business owner and licensed Auctioneer. Greg and his wife Pam live in the Hervey Bay district and support local businesses, clubs and sporting associations. Greg’s commitment to customer service and the Harcourt Philosophy of “Clients for Life” will ensure customers and clients will have a great experience when dealing with Harcourts Hervey Bay. Michele made a wise decision by joining the Team at Harcourts and in doing so has become a valuable asset to our Hervey Bay Office. Her ability to understand and listen to people’s needs comes from a background of owning her own business. Michele has a talent in matching properties to people and people to properties with her bubbly and personable nature. Michele combines experience, skill, persistence and a strong focus to succeed in the area of sales, listing and negotiating. She demonstrates her passion to “get the job done”, and will work hard until it is done. If you want someone who will listen to your needs and work hard for you. Look no further. Michele, with the backing of the Harcourts systems is your person in real estate. With a trade background and a Bachelor’s Degree in Psychology gained during 10 years in the mining industry, Cameron feels privileged to have served his work colleagues in suicide prevention programs like “Mates in Construction”. Having found this role extremely challenging although tremendously rewarding, Cameron gained invaluable experience and quickly learnt that it is people that are most important. 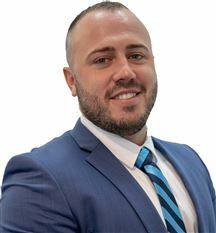 With age came a change in career and Cameron believes that he will now be able to bring his knowledge and experience into Real Estate sales assisting his wife Honi with a view to take on a sales role in the future. Honi has been assisting clients to achieve their property goals, since 2003. Her experience of having owned and managed her own real estate offices has encompassed all aspects of the property industry. She has passion for helping clients whether buying their first home or selling to take their next move on the property ladder. Having worked in the investment and off the plan real estate market for the past 6 years she offers a level of experience to her clients not only in purchasing their own home but investing and creating wealth for their future. Honi prides herself in making sure that every client, whether buying or selling a property receives an experience that is memorable for the right reasons. 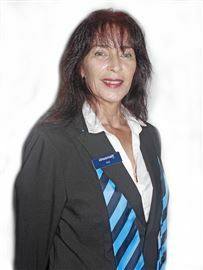 Since returning to the Hervey Bay real estate market in July 2016 she has successfully negotiated over 10 Million Dollars of sales for happy sellers and buyers. Always happy to listen and explain how you too can become another satisfied seller or assist you to find that perfect home. Lisa has worked within the local real estate market for 9 years mainly focusing on property management. Lisa spent a number of years within the building industry to include managing a building company. Through this vast experience, Lisa certainly understands the value of first class customer service! 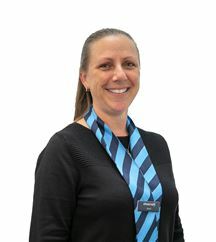 Harcourts has had the pleasure of employing Lisa over the last 9 years, first starting as Property Manager in our Residential Rental division. Lisa then moved into our Sales division. Lisa is looking forward to meeting old and new clients in her area. A problem-solver by nature, with high attention to detail, Lisa is often the mediator between our clients - instrumental in successful outcomes for all parties. 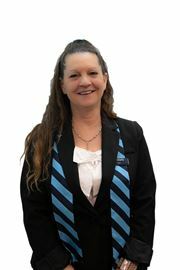 Lisa completed her high school years in the Hervey Bay region and still calls it home. In her spare time, she loves spending time with her family and friends. The Key To Your Selling Success Is An Experienced And Hard Working Agent. Paige has been in the Real Estate Industry for over 6 years and has developed excellent knowledge of, and expertise in Real Estate. She is motivated, enthusiastic and has a strong passion for helping her clients achieve their Real Estate goals. 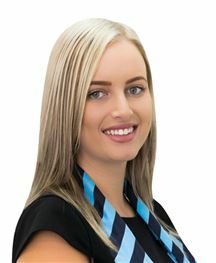 Paige started with Harcourts Hervey Bay in 2012, working for the agency for approx 4 years. She then worked as a salesperson for another local agency for 2 years before making the decision to return home to Harcourts Hervey Bay in March 2018. Paige is proud to be a part of the Harcourts team. Achieving a premium price for your property is Paige’s highest priority – this is evident by her recent successes. She understands that buying and selling can be very stressful and strives to ensure a smooth transaction. 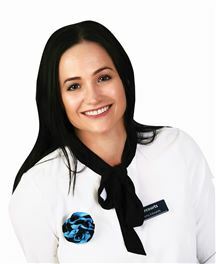 Paige has resided in the Fraser Coast for over 10 years and has great local area knowledge. Specialities Paige has been in the industry since 2012. - Torquay Property Specialist - Residential & Investment Units - Residential Homes - Vacant Land Our sales team regularly attends training events and conferences to ensure that we are up-to-date with market trends, legislation and technology; this allows us to service our clients the best that we can. 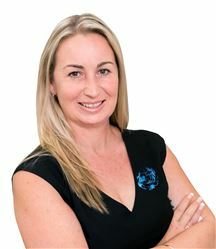 With over 6 years in the industry, Rachel has established herself as a leading agent in the Hervey Bay market. After being an award winning agent for another local agency, Rachel decided to make the change to Harcourts Hervey Bay in September 2018. Rachel is client focused, and recognised as being honest, approachable and friendly. She understands that buying and selling can be a very stressful time and strives to ensure a smooth transaction. Achieving a premium price for your property is Rachel’s highest priority and this is evident by her recent successes. Gail began her Real Estate career completing her Property Management Certificate in 1998 and quickly progressed through the ranks. Following 7 years of outstanding Property Management experience credited to her name, Gail switched over to Sales as Office Manager leading the office and team to success until 2010. Gail then returned to Property Management with a fresh and enthusiastic approach to looking after your valuable asset. Her professionalism and determination as previously recognized continues to this day. With a commitment to remaining constantly updated in changes to legislation, an honest and friendly approach to problem solving and negotiating, you can rest easy with Gail on your side. Starting in the real estate industry in 2017 Sarah has adapted into the profession very quickly learning the ins and outs of property management. Her attention to detail in every aspect of life brings organisation and great time management to the team. Sarah is also a great communicator meaning that you will always know what is going on with your investment property. 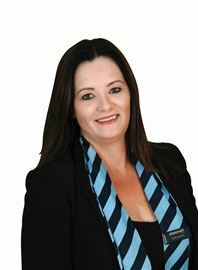 Tammy has joined the Harcourts Hervey Bay team and the warmer climate after moving here from Melbourne. Tammy has taken on a new career path, teaming up with Michele Reid as her Personal Assistant. She brings with her a passion and dedication for anything that she tries her hand at and is enjoying the wonderful and rewarding opportunity that her role brings. She really works hard at providing a good, honest service and gets pleasure out of making people happy. In Tammy's spare time, she enjoys catching up with her family and friends. She loves the lifestyle that Hervey Bay offers and tries to go fishing and camping whenever she can.